Pink for Girls, Blue for Boys: Who Says? 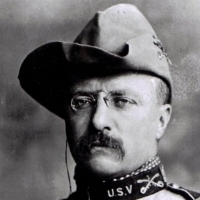 If you picked B: Teddy Roosevelt you are right, congratulations! This photo gives two important clues relating to gender and marketing norms. You may have already noticed one right away; the future President of the United States is wearing what appears to be a dress (The Atlantic). However, the second may not be so clear. Teddy Roosevelt is sporting what was most likely a pink dress (The Smithsonian). Today, practically every children’s item, from clothes to wall paint, is divided strictly according to gender: pink for girls and blue for boys, no questions asked. However, this gendered social construct was not always true. During the early 1900s, people assumed that pink was the natural masculine color: strong and bold. Blue, it was spouted, fit the characterization of young girls and women better: soft and gentle. Yet, during the 1940s, this color norm was completely reversed for not much of a reason that can be historically traced (The New York Times). Gender norms are based upon arbitrary assumptions, which can be seen in the lack of explanation for the switching of colors associated with genders during this time period. It is easy to take gender stereotypes as facts and assume they have always been that way. Thus, remember to be cognizant and aware of the gender norms and social constructs you follow on an everyday basis that have become normalized! This may seem to be a small and insignificant example, but it stands as a reminder for all other gender stereotypes that still remain in the corporate world and are normalized and internalized as facts. These stereotypes surround pressing issues within the workforce, regarding leadership positions, maternity leave, and even more nuanced issues such as women being categorized as “emotional” or “bossy”. It is important for us, the women of BWIB, as change-makers to have the constant courage to challenge these stereotypes - because more often than not, when we scratch the surface of these everyday norms, we find that they are nothing more than mere social constructs based on made-up, sexist tradition. So, go on out there and buy yourself a new blue, pink, red, purple, yellow, or rainbow dress! Teddy would want you to! Maglaty , Jeanne. “When Did Girls Start Wearing Pink?” Smithsonian.com, Smithsonian Institution, 7 Apr. 2011, www.smithsonianmag.com/arts-culture/when-did-girls-start-wearing-pink-1370097/?c=y&page=1. Fromson, Daniel. 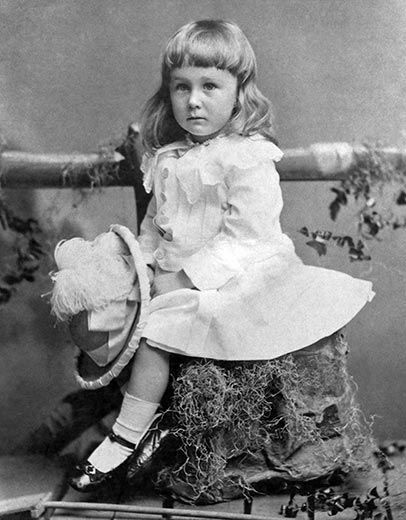 “FDR Grew Up in a Dress: It Wasn't Always Blue for Boys and Pink for Girls.” The Atlantic, Atlantic Media Company, 14 Apr. 2011, www.theatlantic.com/amp/article/237299/. “Pink and Blue.” The New York Times, The New York Times, 22 Apr. 2011, brooks.blogs.nytimes.com/2011/04/22/pink-and-blue/.